The best way to ensure that your child has a healthy smile for years to come is to protect their teeth early-on and teach them the right ways to brush and floss at home. Kid’s Dental is a Tulsa, OK children’s dental office that is committed to your child’s oral health; we take a kind and caring approach to dentistry so that your child is able to get quality dental care that protects their teeth through adolescence and adulthood. • Teeth cleanings – We usually recommend that you bring your child into our office twice a year so they can have their teeth cleaned thoroughly by our friendly dental team. By visiting our Tulsa kid’s dental office for routine teeth cleanings, we can spot problems early-on and prevent them from developing into bigger issues. • Fluoride varnishes – Fluoride keeps teeth strong and healthy. At your child’s dental appointment, Dr. Costello will give them a small amount of fluoride that they can swish around their mouth and spit out. These fluoride varnishes help protect baby teeth, especially, from dental decay and harmful bacteria. • Patient education – Teaching your child techniques for excellent oral health care is their best defense against cavities and tooth decay. If your child gets into the habit of brushing and flossing his or her teeth twice daily, they can prevent the build-up of sticky plaque that causes decay. When you visit our office for care, we get as much info up-front as we are able to, and can even help you fill out forms that are required for Medicaid and SoonerCare. Dr. Costello is focused on providing quality dental care for children and makes sure that your child’s smile is protected in order to promote excellent oral health for life. We take each patient one-at-a-time; your child is an individual and requires individualized care in order to have strong and healthy teeth. Dr. Costello and his team respect you and your time, which is why we keep your appointments on-time and get to know your child’s needs before beginning any treatment. Kid’s Dental makes your children’s dental treatment affordable – we work with your coverage provider and give you the best in preventive dental care for kids. If your child does need to have a cavity filled or has a tooth infection, we happily provide dental crowns, fillings, and root canals for children. Is It Time for Your Child’s Next Dental Appointment? Call Us Today! Don’t wait to get your child the preventive dental care they need. 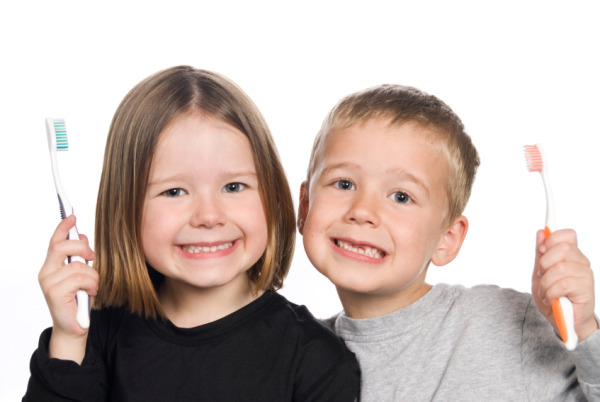 Kid’s Dental is your home for friendly dentistry for children in Tulsa, OK. Call our office today to schedule your child’s next dental appointment.